We have witness the effectiveness of wingers switching flanks multiple times throughout the game in real life soccer. The sidebacks and center backs have to deal with two different styles of plays, which helps to confuse them and make them prone to errors. Imagine both of your wingers have a different stronger foot. In their original flank, they will tend to dribble down the flank all the way to the goal line and whip in a cross with their stronger foot. Once they switched flank, they can adopt the style of cutting in via the sideback’s weak side and taking a shot with their stronger foot towards the far post. 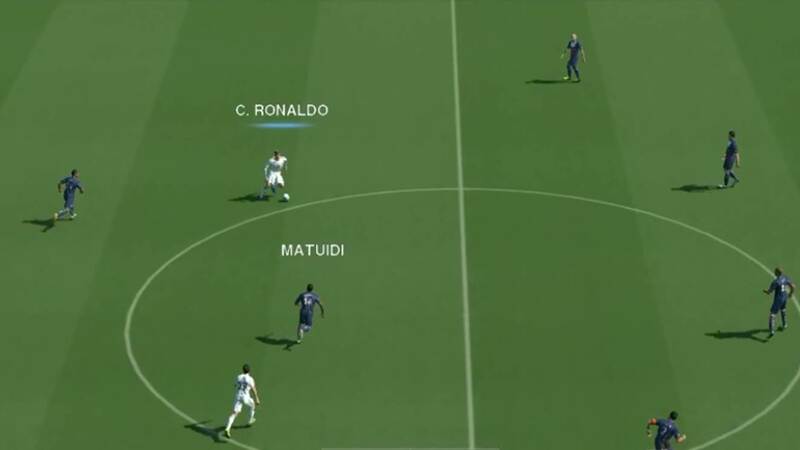 This strategy is effective in real life, and it is effective in Pro Evolution Soccer as well. And we can recreate this strategy easily with the use of 3 Pre-Set Tactics. In Pre-Set Tactic 1, choose your preferred formation. In Pre-Set Tactic 2, adopt the same formation as Pre-Set Tactic 1, but this time, switch the position of your wingers. Now, in the game, when you change your pre-set tactics on the fly by pushing the Directional Pad button towards the touchline, your wingers will be switching flanks instantly. This is very useful for creating unpredictable attacking moves, and has proven to be effective against opponents who have gotten used to your playing style. For majority of the match, your style of play will be using the winger to dribble down the flank and whipping a cross in. Your opponent will start to get used to this, and will kind of expect such an attacking move. With a switch in pre-set tactic, your wingers have swapped flanks, and you are now in a better position to do something different from what you always do. Your wingers’ strong sides are now the defenders’ weak side, allowing you to easily cut in past them and aim for the far post. Once your opponent starts to get used to this trick and learn how to defend against it, you can easily switch back to Pre-Set tactic 1, and adopt the traditional playing style of sprinting down the flank to cross the ball in. Some examples of teams suitable for this strategy include Chelsea (Juan Mata & Eden Hazard), Real Madrid (Ronaldo & Bale), and Bayern Munich (Ribery & Robben). Of course there are many more teams. In fact, any team that possess 2 fast players with different stronger foot is suitable for this strategy. To bring this up to a higher level, you can have 3 Pre-Set Tactics, rotating both your wingers and your attacking midfielder in an inter-changeable attacking triangle, if all 3 of them possess decent speed, dribbling and shooting abilities. Arsenal can pull this off with Walcott, Carzola & Podolski. Manchester United has Nani, Antonio Valencia & Rooney, and Barcelona can easily find 3 players to fit the strategy. Using pre-set tactics to switch players’ position is one of the simple-to-execute and effective way to attack in Pro Evolution Soccer, thus I highly recommend this to everyone. Watch this strategy in action in this video.